What can you tell me about Great Aunt Millicent's Radio? This is, perhaps, the most frequent inquiry from those of you who stumble across my humble site. Of course, I will be glad to help. But first, you may want to do some investigating for yourself. 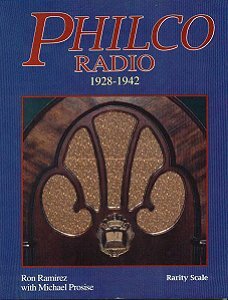 Below, please find a link to "Mr. Philco's" gallery of Philco models from 1928 through 1946. Mr. Philco, Ron Ramirez, is rightly recognized as the foremost authority on all things Philco. The link will direct you to a photo gallery of one hundred of the most popular Philco radios. Take a look!